This post is the fifteenth in a multi part series on swamp cooler repair, maintenance, and replacement options, like refrigerated air conditioning. If you haven’t read parts 1 – 14, I recommend you do before continuing. Air filtration – Refrigerated air conditioning systems use HEPA filters to clean the air they blow into your home. A direct evaporative cooler, on the other hand, draws air directly from outside. This air can bring in smoke from wildfires that has settled in the Rio Grande Valley, dust, allergens, and whatever else happens to be floating around. However, some indirect evaporative cooling systems incorporate filtration as well. Keep your doors and windows closed – Since refrigerated air systems draw their input from inside your home, they don’t require the massive throughput that evaporative systems do. Depending on how you look at it, this may or may not be a drawback. I’ve met some people who’d say it just isn’t summer without all the windows cracked and the cool, moist air of their swamp cooler blowing out. In terms of both convenience and security; however, I think most people would agree that the ability to keep your home sealed and locked up and still have the cooler working is a good thing. Produces colder air – While a well tuned evaporative cooler can produce nice, cool air, refrigerated AC can generally produce lower temperatures. Some indirect evaporative coolers do come very close to the temperatures reached by refrigerated air, however. Adds value to your home – Generally speaking, refrigerated air conditioning is a feature that’s going to add value to a property in New Mexico. However, this alone probably isn’t enough of a reason to switch to refrigerated air. The money you spend might not be recouped in the sales price. If you want to get a better idea of how much this kind of upgrade will add to the resale value of your home, you should consult a professional, like a real estate agent or home valuation expert. Check back soon for How to maintain your swamp cooler, when to replace it, and what to replace it with, part 16. 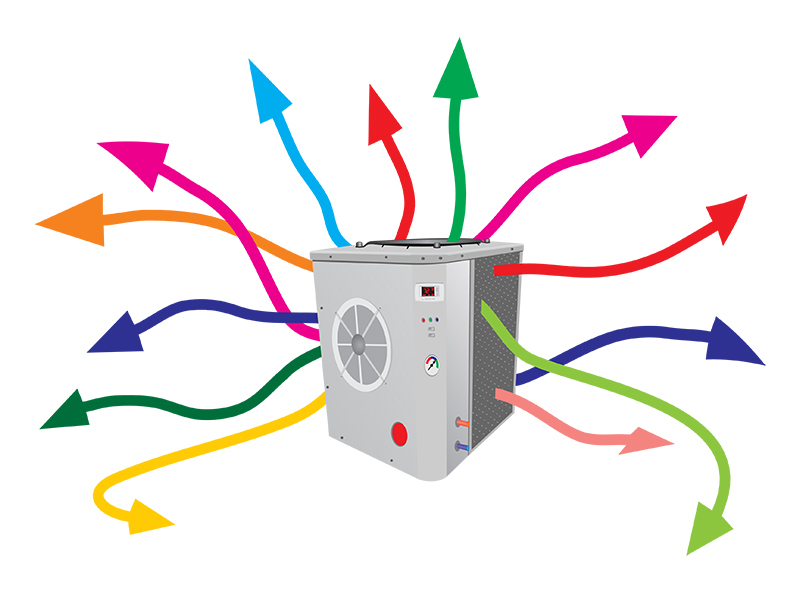 In the meantime, check out our page on refrigerated air conditioning.